At this point, you probably have a solid idea if you’re on your way to a duty station in Japan. And, you likely have PCS stress and anxiety swirling through your brain as you try to plan your family’s next military adventure. Even if underneath the worry there’s pure excitement to move to Japan, you’re going to have questions. 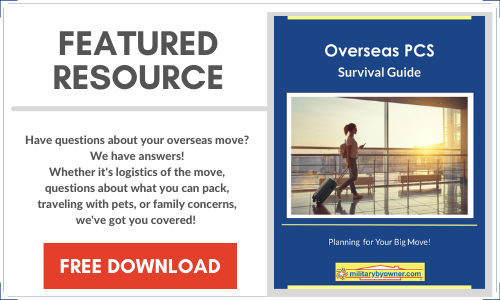 Embrace the instinct to dig up every bit of info you can on how to move overseas with the least amount of hassle. First timers, you’re in the right spot, and experienced Japan travelers, you might pick up a trick or two, or better yet, share a tidbit that saved some sanity along the way. A smooth transition is possible--just ask the two spouses who were more than willing to send MilitaryByOwner their OCONUS PCS wisdom. Gina McFarland and Ciara Lisette have moved to Japan, experienced everything the country has to offer, and returned to the U.S. with pages of practical info to share with other families on their way. Ciara even took her advice to the next level and wrote the book Welcome to Yokosuka: A Practical Guide On How to PCS to Yokosuka, Japan. Get ready to take notes; here is more about what they have to say about PCS'ing to Japan. It’s tough to sit back and wait on the military to send verbal, then official orders, then shipment details, the list goes on…but, take these bits of advice to get the pre-planning started. In some cases, the smooth move you hope for won’t occur if your paperwork isn’t started months in advance. If you’ve never used a sponsor for a military move, now is the time. The Checklist for An Overseas Sponsor is an ideal resource. Don’t let honed experience go to waste. Your sponsor family likely had someone assist their arrival and are glad to give back to the next round of newcomers. You’ll most likely have three different shipments of household goods: storage, short storage, and slower shipment. There is an art and science to planning for everything to be packed just right. If reaching out to a sponsor to ensure the best care of your belongings isn’t a great reason to apply, then there isn’t one! A sponsor has spot-on recommendations for timing and what items to pack in which shipments. Plan ahead for the holiday festivities that are important to your family. Previous spouses have mentioned the lack of holiday decorations. If you don’t pack decorations, keep about a 6-week transit time in mind for delivery. This is especially important for Christmas gifts and holiday cards. Gina is a mom and understands how kids look forward to presents. She suggests shipping everything by Priority Mail in September and early October to have what you want under the tree. The requirements for the official passports and visas you’ll need are found in the Foreign Clearance Guide; your service member verifies each document. The lead time for any type of passport is lengthy, so Ciara suggests starting the process well before hard copy orders are issued. Most military families require both a tourist and a no fee passport for dependents. Pet travel is serious business. It's scary and time consuming. A partial remedy is to prepare well in advance. Ciara is a cat parent, so she’s in tune with what needs to be done to get pets into Japan. She advises you schedule an appointment with your vet as soon as verbal orders to Japan are given. The FAVN test, a.k.a. the quarantine process, is 180 days. Pets also need microchips and rabies vaccinations before the official blood draw can occur. Even with advanced planning and a start date of 9 months out, Ciara’s cat only made the entry date by 15 days! For a little more reassurance, read 6 Resources for a Military Move with Pets to pick up a few more tips. It might feel like you're alone in your Japan journey, but the reality is, thousands of military members transfer in and out of the country each year, which means a tight squeeze on facilities like lodging; especially if you have a pet to consider. It's recommended to make reservations with military lodging for 30 days, even if you do not have flights made yet. It's much easier to shift dates under an existing reservation than to be left without any room at all because you’ve waited too long. Want to lessen your worry load? Leave your car at home. It's too cost prohibitive to transport and outfit up to code to drive in Japan. Don’t forget, people drive on the left in Japan. Resale pages and Lemon Lots are full of reliable and ready to roll cars to buy. It’s a thing in Japan. Most people buy what the need for the time they live there and sell to the next military family before they depart. If you do any driving, however, you’ll need a base issued Japanese driver’s license. In order to get that, your U.S. driver’s license cannot be expired. Another reason to check in with a sponsor: transportation from the airport. Taxis are available, but expensive. A sponsor knows you’ll have mountains of luggage and are probably jet lagged. Although different voltage (voltage in Japan is typically 110 and in the U.S. 120), most of your appliances will operate without destruction upon plug-in. Ciara did mention if the appliance has a heating element, it won’t get as hot as you are used to back home. For the foodies out there, Gina highly recommends Love & Lattes: Okinawa. Don’t let your nerves scare you from trying new places to eat and dishes to try. This ebook has over 50 café listings to make the hunt for food fun, delicious, and part of the Japanese experience. Buying and selling phones on local swap pages is normal, and expected. 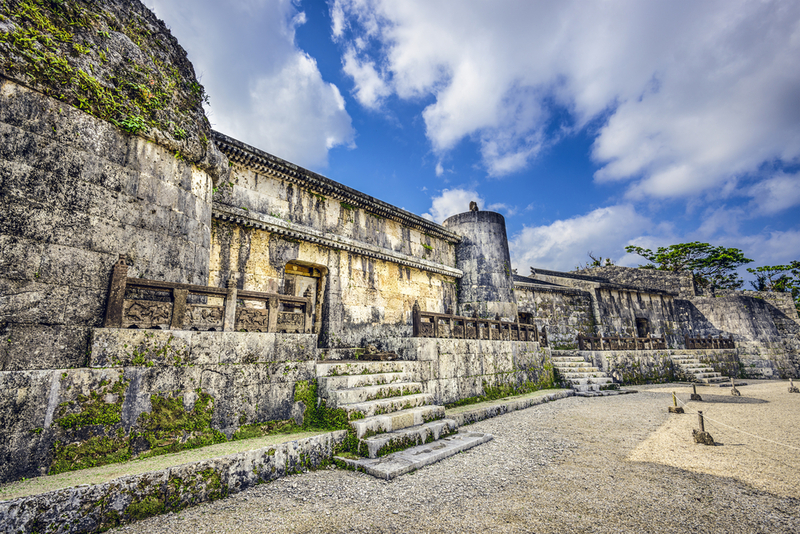 Most families find Okinawa Hai and Okinawa Living on Facebook especially helpful for learning about activities and excursions. Networks make the Japan experience flourish. Even if you don’t normally participate in your spouse’s work groups or activities, they are a great resource overseas. You’ll need a support system to conquer the inevitable emergencies that occur during a TDY or deployment. Volunteering on base is always an option that welcomes newcomers. In fact, it’s not unusual for spouses to find work opportunities either while living in Japan or when they return to the U.S. through contacts they've made while volunteering. Commiserating and planning with like-minded spouses is the quickest away to make adjustments to the homesickness factor. Cheering each other on during the hard times is invaluable. New to the Neighborhood? Meet Friends Fast! is a quick read with tips on how to meet your new neighbors. Spouses, if you plan to work, explore the possibilities before leaving. Spouse employment is not plentiful, but those with remote work options and those with teaching and nursing credentials tend to fare better than most. 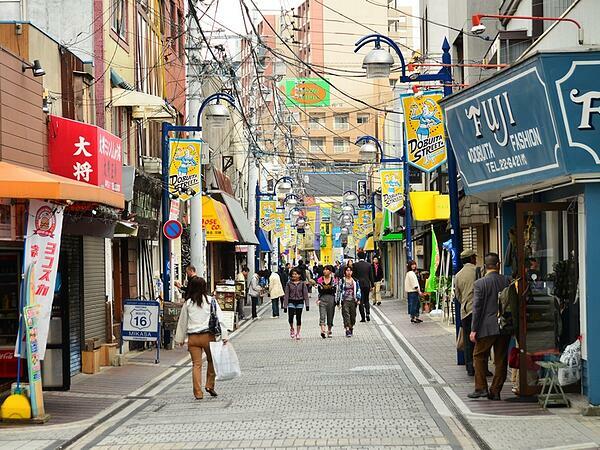 Military families stationed in Japan often comment on how kind and helpful local citizens are. But, there is some discontentment about military bases located there. Respect for Japanese citizens and their culture goes a long way in bridging the gap. Gina and Ciara each emphatically suggested that a duty station in Japan is not close to reaching full potential unless plenty of time has been spent traveling. Keep in mind: travel on your tourist passport, not your military (no fee) passport. Military flights are available for vacationing, but as always, they are tricky to plan for and execute. Always have enough money to buy a ticket home if need be! 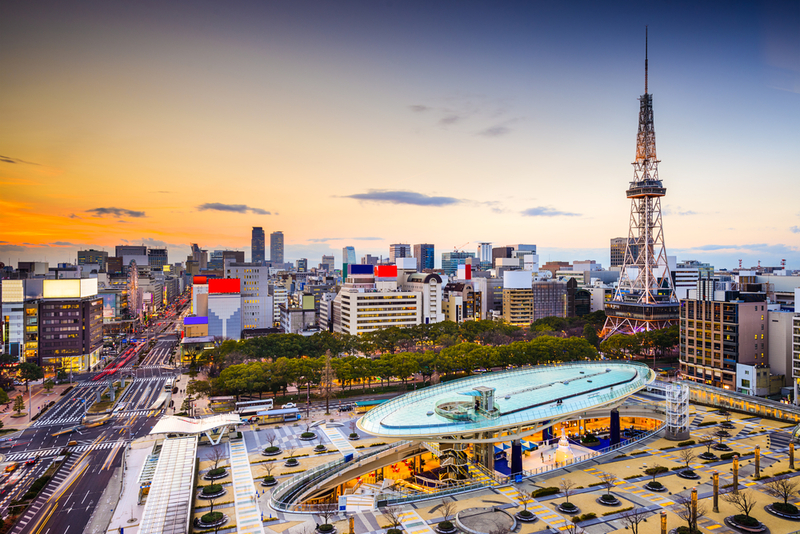 Learn the ins and outs in Flying Space-A to Japan: 8 Things You Need to Know, written by MilitaryByOwner contributor Stephanie of the blog Poppin’ Smoke. Travel under the sea and learn to scuba dive; the Okinawan coast offers world class diving. Gina says that many families become certified while cooped up in lodging as they wait on permanent housing. Seek out adventures through the ITT on base because the hard work of navigating foreign routes and language translation is done for you. After you’ve become a bit more acclimated, adventuring on your own will come naturally. Ask to join the Tips for Asia Travel Facebook page. The community was built for military families living and playing in the region. More than likely, you’ll find the answers to any of your travel questions. 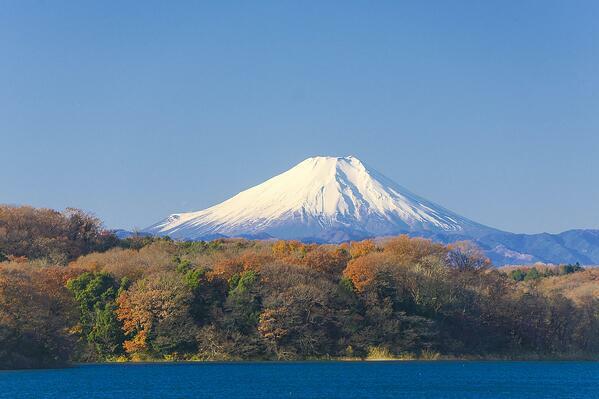 Hiking Mount Fujj is a once in a lifetime event (unless you PCS to Japan again! ), and it comes highly recommended by military families. Public transportation in Japan is an amazing resource. So amazing, that people frequently use the trains or a bike instead of driving to their destinations. Although Gina and Ciara supplied plenty of working advice, we have several more blog posts in a series related to a PCS to Japan. 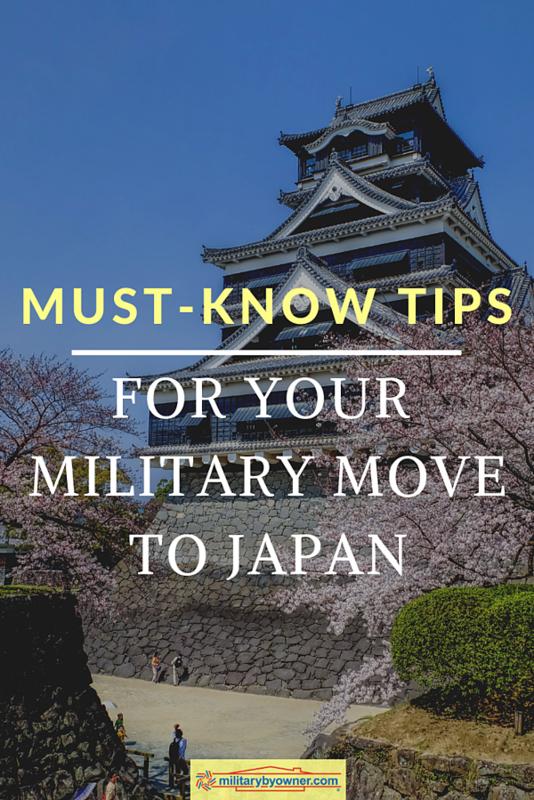 PCS to Japan: Tips from a Military Spouse Who's Been There! Stay up to date with MilitaryByOwner and our information about overseas living and home buying. There’s so much to learn! For even more info, click below to download our FREE overseas PCS ebook.